The State Department barred members of traditional news outlets from covering a briefing with “faith-based media” on Monday. Secretary of State Mike Pompeo held the telephone briefing with reporters from religious media groups, but the State Department denied requests from mainstream outlets for a transcript of the call or a list of who had been invited to attend. The Religious News Service, which attended the briefing and published an article about it, provided the clearest detail on the guest list. “While it was not clear which outlets were part of the call, questions were asked by Religion News Service, Jewish Telegraphic Agency, Algemeiner, World Magazine and The Leaven, the newspaper of the Roman Catholic Archdiocese of Kansas City in Kansas. America Magazine also participated in the call. Participants were not told that the call was limited to faith-based media,” RNS’s Emily McFarlan Miller reported. Former State Department spokesman John Kirby blasted the decision to hold the private briefing and shut out secular media organizations. Trump, who last week signed Bibles while visiting tornado victims in Alabama, continued to wage war against what he terms the “Fake News Media” on Tuesday, reviving his characterization of the free press as an enemy not only of his administration, but of the country as a whole. 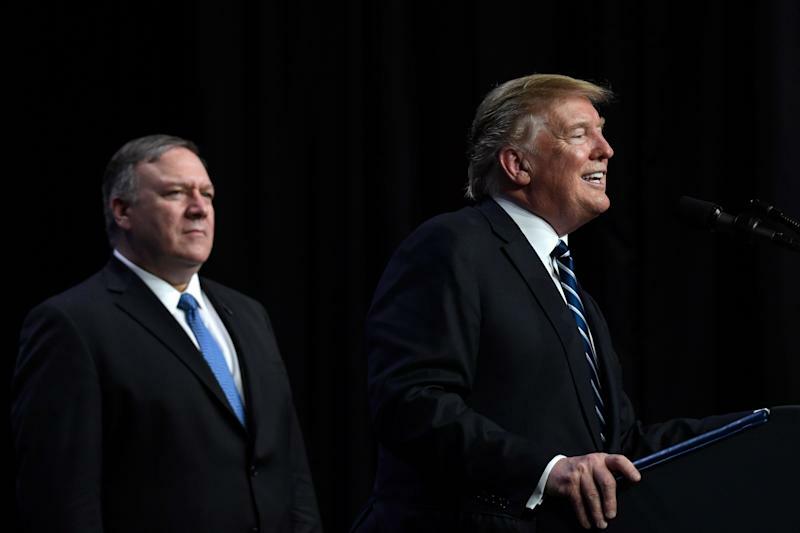 A devout evangelical Christian, Pompeo departed for a trip to the Middle East hours after the conclusion of Monday’s phone briefing, and was accompanied by the Christian Broadcasting Network’s chief political analyst, David Brody, as well as members of the mainstream media.